Your immune system is in your gut. Bad gut bad health. If you are not eliminating at least two to three times a day you are in for continuous bad health and problems that are preventable. Can?cer, colds, flu- think bad bowel health. Poor nutritional absorption? Bad gut = no immunity. Take the time. Single Herbs order using form below and you will be sent a paypal invoice via email. Prices are reasonable and less than the blends. Fenugreek - Pure Herbs Fenugreek is beneficial for maintaining a healthy, clean lymphatic system and aiding in digestion. Calendula - Pure Herbs Calendula is beneficial to maintain healthy circulation and digestion. * It also assists in supporting the overall health of your skin. * Sun burns heal quickly with calendula. Toner and conditioner for ballooned bowel, lazy bowel. (Greasewood, Marshmallow, Butcher's Broom, Barberry, White Oak Bark, Bitter Orange, Angelica, Sweet Root, Senna). 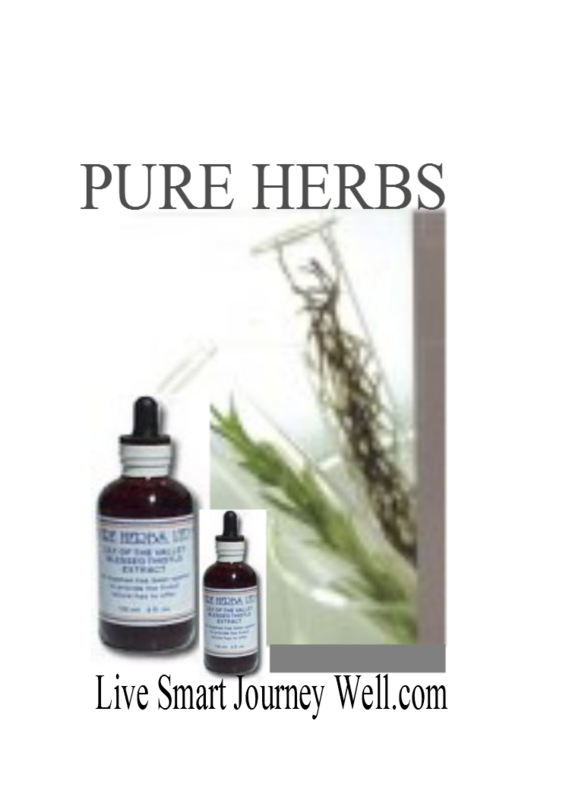 Single Herbs use order form on this page you will be sent an paypal invoice via email. Sweet Root - Excellent for diarrhea, caring for the most helpless of stomach and intestinal cases. Builds immunity, and especially against flu. When the body is damaged and down to skin and bones think sweet root, the weight will come back on. It focuses on the normal function of the pancreas, spleen, gallbladder, liver, stomach and intestinal tract. Cleans and repairs the digestive tract of poisons. Correction of stomach acid. Tumors, cancers, swellings disappear even the lung. tract function. * Supports a healthy gastrointestinal tract and relief of occasional gas. Dr John Christopher is considered the great grandfather of our current herbal movement in the USA. He is my mentors mentor, Dr. Richard Schulze. Great resource materials to keep at the ready. Lypo-Spheric Vitamin C - is the strongest oral Vitamin C available!Current clinical trials by well known Vitamin C expert and pharmacologist, Steve Hickey, PhD, show that Lypo-Spheric Vitamin C is able to create serum levels of Vitamin C almost double what was originally thought possible with Vitamin C in an oral form.Squeeze the contents of one packet into your favorite juice or other cool beverage. The gelatin-like liposomes disperse with a stir and add little or no taste to your drink. It's easy to swallow and soon millions of "Smart" Lyposomal Nano-Spheres loaded with liquid Vitamin C race to your liver. Once there, the essential phospholipids and the Vitamin C will be unleashed to perform their powerful health-promoting, age-reversing work!Each 0.3 oz. packet of Lypo-Spheric Vitamin C contains 1,000 mg of Vitamin C and 1,000 mg of essential phospholipids. It's the most bio-available, anti-aging, health-promoting, easy-to-swallow Vitamin supplement around!The phospholipids encapsulating the Vitamin C range in color from light orange to dark brown.Lypo-SphericTM Vitamin C FAQ's Q: Why do the Lypo-SphericTM Vitamin C packets get puffy?A: When the product combines with oxygen in the packets, Carbon Dioxide (CO2) is created and this causes the packets to swell over time. Carbon dioxide is not harmful to the liposomes or to your health. In fact, this gas is used to make soda pop fizzy. We also exhale carbon dioxide when we breathe out.Q: Will supplementing with vitamin C lead to the development of kidney stones?A: Although some have theorized a correlation between vitamin C and the development of kidney stones, research contradicts the hypothesis. The theory is based on two unrelated observations:1) A portion of ingested vitamin C produces oxalate or oxalic acid2) Individuals with increased oxalate in their urine may have a greater risk of developing kidney stonesExtensive research, however, has shown that a "healthy person who avoids dehydration and ingests very large amounts of C.
Testimonial: My doctor suggested Livon's Lypo-Spheric Vitamin C and GSH. My understanding is that the water soluble vitamins are encapsulated in fat soluble phospholipids so the vitamins get delivered to the liver instead of being lost in digestion. What I do know is that I have a lot more energy when I take these. I mix them with some grape juice each morning about 15 minutes before eating breakfast. The first week, I had to nap in the afternoons - I was worn out from working harder each morning as I have a chronic illness, Lyme disease. I've been taking them for two weeks now, and find my energy level stays high for about 6 or 7 hours after taking these. They are not inexpensive, but considering that I am more able to work consistently with them, the investment is worth it. I would like to mention some interesting information I came across in Chemical Engineering News in 1988. 'Each year in the U.S., 80,000 tons of hydrofluosilicic acid, 60,000 tons of sodium silicofluoride and 3,000 tons of sodium fluorides are put into public water supplies.' (Chemical Engineering News, Volume 66, Aug. 1, 1988, pg. 39) 'All of these fluoride chemicals are by-products of the aluminum and chemical fertilization industries and are considered to be hazardous wastes by the EPA. The scientific assessment of the health risks of fluoride, in 1985, omits 90% of the literature which suggests fluoride is a mutagen which can cause cellular and genetic mutation.' The articles researcher said, 'My dental health increased drastically when I quit using fluoride' and in an article from last September he also states, 'Our bodies are accumulating large amounts of aluminum.' Let's use the herbs to assist the body in removing aluminum (absorbed through such things as bath water and cooking) and poisons. Here is a list of some genuine aluminum flushers and poison annihilators: For aluminum: Horsetail, Bladderwrack, A.C.S., Chlorella, and H.M.E.-H (heavy metal elimination). For poisons: C.C.E.-W, Virginia Snake Root, and Black Cohosh. Don't overlook the blood cleaners and purifiers such as, Spring Greens, Red Clover, B.P.-W, B.C.-W, and P.C.-C" This formula below encompasses it all and gets the job done. Watch what you cook with, throw out non stick pans that are scratched and aluminum. Use steel or glass. DO NOT USE THE MICROWAVE. Cooking with aluminum foil is just not worth it in the long run. Toxic metals can and usually is the cause of long-standing physical and emotional problems. Toxic metals such as lead, mercury, zinc, cadmium, aluminum and other heavy metals need to be eliminated from the body. Our environment is one of the most chemically polluted air, soil, rivers, lakes and oceans are created when society manufactures goods and dump wastes without thought to the environmental damage. You begin to lose your ability to remember ; imbalanced hormones, children develop behavioral problems, new "dis-ease" names are invented to describe new illnesses and the medical industry invents new drugs to try to solve the problems. 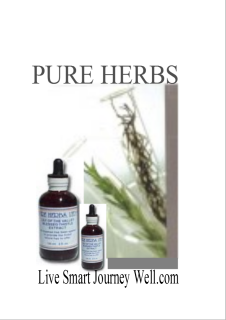 H.M.E.-H Pure Herbs is designed to rid the body of tormenting inorganic metals, especially heavy metals. It contains a complete mineral supplement base and increased selected organic minerals, which have more energy than inorganic minerals. Good minerals drive out bad minerals. Combination: All Cell Salts, Bladderwrack, Atlantic Kelp, Irish Moss, Arrow Root, Horsetail, Oat Straw, Siberian Ginseng, Wheat Germ. Dosage: One teaspoon two or three times per day at mealtime. The greatest health boon you can do for yourself is to cleanse and protect your Liver and Gall Bladder. This is foundational and a huge preventative for overall health and retaining your vigor and prevent disease. removed knows that acid reflux, diarrhea and poor absorption of foods is the result of its removal. Purple Loosestrife - Supports healthy liver function. Beneficial for relief of occasional muscle cramps. * Beneficial for macular degeneration because of circulation improvement. DISCONTINUED Wahoo - Pure Herbs Wahoo is beneficial for gall bladder support.Helps to relieve occasional constipation. Beet Root - Pure Herbs Beet Root is a source of minerals and is beneficial for maintaining a healthy, clean liver to promote the body?s normal detoxification process. 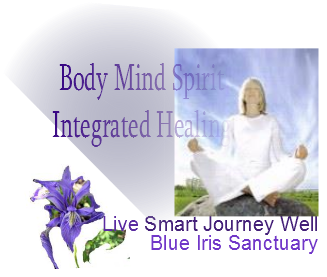 Blue Flag - Beneficial for liver health, maintaining a healthy lymphatic system and reducing fluid retention. healthy blood pressure already within the normal range. Questions and purchases, be sure to give your address and phone number when ordering. You will receive a paypal invoice via email. Request Bill Me Later if your purchase is over $99. !! Thank you for your inquiry and or purchase. This page under construction. You will receive a product information sheet with your orders. Return soon. This page and others will have their shopping cart built and under each product will be a free download of the product and information for use and history. LIV.-J - Maintains healthy gall bladder and liver function. Supports healthy digestive function. (Wild Yam, Crampbark, Fennel, Ginger, Catnip, Barberry, Aloe (African). "I am 60 years old and I have a long history of pancreatic cholecystitis. 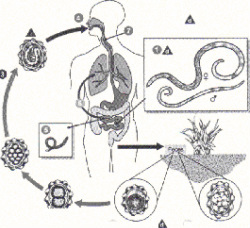 Many years ago I had Hepatitis B. I have a very sensitive digestive system. I suffered from sharp pain under my ribs and felt very tired and couldn’t work. The doctor told me that it was my gall bladder that was causing this problem. My cholesterol level was 370 with very high triglycerides. The doctor prescribed me Zacor. After taking it for three days, I got so sick that I couldn’t eat and the pain under my right rib got even worse. I refused to continue taking it and called my nutritionist . She sent me three bottles of GB-B and I started taking it after each meal. After two days my pain was gone; I could eat again and was able to go back to work. Once I finished these three bottles of GB-B I went back to my doctor to do another blood test. To my surprise, my cholesterol dropped to 220 and triglycerides were normal. I have continued taking this herbal formula for almost two years now. The latest blood test taken in December, 2010 showed my cholesterol is 160. Herbs do work! Thank God for this wonderful herbal formula. I highly recommend it to everybody who has any issues with gall bladder and liver. I also took several bottles of W.-W and S.D.R (this is favorite formula)." am happy to report I feel better than ever and feel I am even more blessed to have a healthy gall bladder." Helps to maintain a healthy urinary tract and prostate. * Supports healthy kidney and bladder function. (Cornsilk, Uva Ursi, Gravel Root, Buchu, Yarrow). Bloating, digest better, increase of milk flow. (All Cells Salt, Horsetail, Oat Straw, Siberian Ginseng, Wheat Germ). Beneficial for the maintenance of healthy kidney function. (Juniper Berries, Uva Ursi, Parsley, Dandelion Root, Chamomile). kidney. Use with caution. Take for only one week and then do not take for a month. Uva Ursi used for prolonged periods has been known to cause lip cancer. It is highly unlikely, But some have stayed on it for months and this is not proper use of this herb. Any Formula with it in it. It should be used for short periods until you clear the issue. Supports healthy kidney and bladder function. (Stone Root, Gravel Root,Marshmallow Root, Hydrangea Root). Over the counter drugs and most prescribed drugs (especially those for can?cer's) destroy the kidney's. Care for them as you go through treatment and save your life. If the can?cer doesn't kill you then the drugs destroy the body. This is why they can only claim remission. The body struggles even though the disease is under control and the organs cannot recover from the chemical onslaught. Cornsilk Helps to maintain a healthy urinary tract. reproductive and urinary health. Is beneficial for maintaining a healthy digestive system. 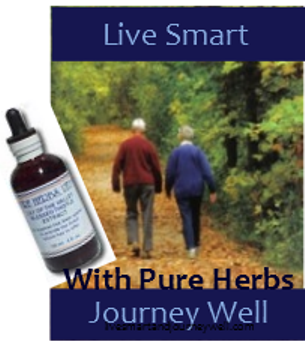 Rupturewort - Supports healthy urinary tract function. Cleavers - Pure Herbs Cleavers is beneficial for maintenance of kidney and urinary system health. CST.-M - Supports a healthy urinary tract as well as shrink tumors, fibroid cysts. A well rounded product. Supports a healthy immune and gastrointestinal system. Helps to relieve occasional menstruation discomfort. Helps to maintain a healthy urinary tract system. P.G.-G - Helps maintain proper joint function. Helps support healthy urinary tract function. (Juniper Berries, Dandelion Root, Turmeric). Yeast/Fungal Overgrowth (Candidias) has been found to be a factor in many disorders and is found in millions of people who can not figure out what is wrong with them. Symptoms appear to be very diverse and vary from individual to individual. This is one of the reasons that yeast is difficult to diagnose. It also makes it difficult for doctors to understand the symptoms that we all deal with on a daily basis. This is a listing of some of the symptoms that may be associated with candida.